For homeowners in New Mexico, choosing the right solar financing option is about to get a little bit easier, thanks to the release of a new homeowner’s guide from the New Mexico Energy, Minerals and Natural Resources Department (EMNRD). 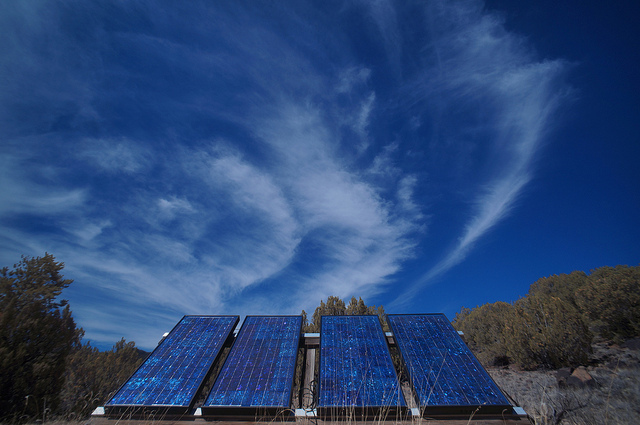 While generating and using solar energy in the Land of Enchantment is a natural fit, due to the abundance of clear sunny skies in the region throughout the year, understanding which solar financing method is the best for each homeowner isn’t always a very clear proposition, and tends to be an issue no matter what state you live in. Get a solar quote today! The new solar financing guide was developed by the Energy Conservation and Management Division (ECMD) of the EMNRD, in collaboration with the Clean Energy States Alliance (CESA) and the U.S. Department of Energy SunShot Initiative, and aims to “help homeowners navigate the complex landscape of residential solar photovoltaic (PV) system financing” in New Mexico. The free guide, available as a PDF download from the EMNRD website, is titled “A New Mexico Homeowner’s Guide to Solar Financing: Leases, Loans and PPAs” and it offers a comparison of the advantages and disadvantages of each option, as well as a look at how they compare to a cash purchase. In addition, the guide features a set of questions for New Mexico homeowners to ask during the decision-making process, and clarifies the key financing terms that homeowners should be familiar with in order to make an informed decision. According to a news release from the EMNRD about the solar financing guide, the falling cost of solar has led a much larger share of the public to explore home solar systems, but at the same time, the increased number of solar vendors has served to make the decision-making process of homeowners “more complicated.” Because relatively few prospective solar homeowners are in the position of making a solar system purchase outright, the various solar financing options can make going solar a bit more painless. From 2009 through 2014, the amount of residential solar installed in New Mexico has risen from just 319 kW to 6,544 kW, an increase of some 2050%. The New Mexico solar financing guide is available for download (PDF) at the EMNRD website. 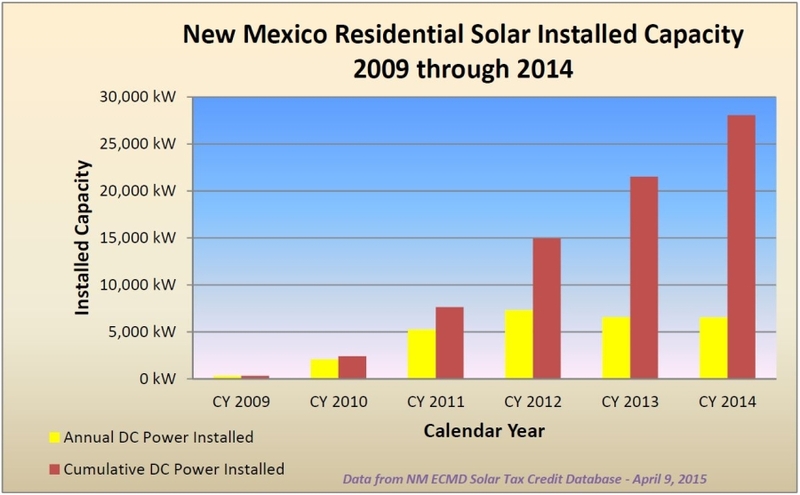 The state of New Mexico offers a Solar Market Development Tax Credit (Solar Tax Credit, or STC), which pays up to 10% (up to $9,000) of a solar photovoltaic (PV) or solar thermal system, on top of the 30% federal tax credit. Find out how to join the rooftop solar revolution today!